I can’t get the picture out of my mind. 21 Egyptian Christians. Killed. Because they were Christians. I try to write, but all I can do is stare at the screen. Hundreds of thoughts scream in my head, but the screen in front of me remains blank. How can I adequately express my feelings about this gruesome, unjust act? How can I honor the memory of the men who were murdered in cold blood? And then one thought rings out above the rest. We watch the persecution of Christians on the other side of the world with mild interest. We talk about their suffering. We even pray for their perseverance. And then we go back to our lukewarm lives, our comfortable churches, our watered down view of Christianity. 21 Egyptian Christians die for their faith. And we complain about the style of music in our worship services. And we grumble because it is too cold in our sanctuaries. And we complain if the services last too long, the minister forgets to shake our hands, the children are too rambunctious, the color of the carpet is not right . . .
Somewhere along the line we have become much too comfortable with our definition of Christianity. Somewhere along the line we have forgotten. 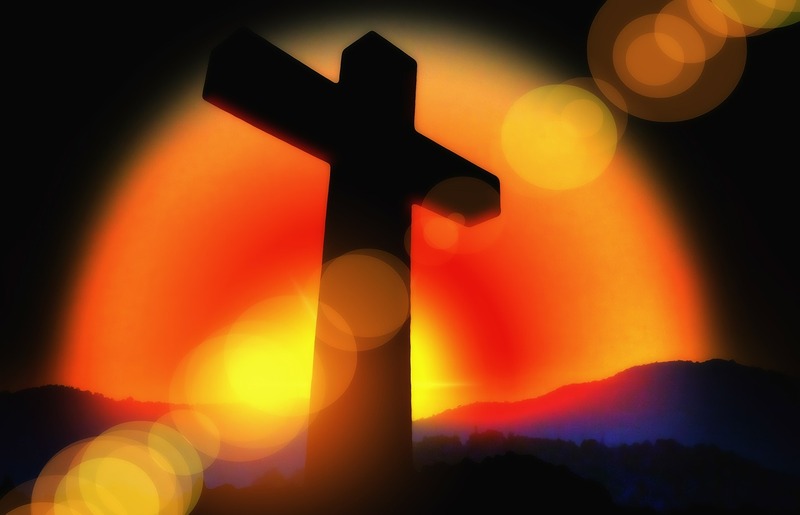 We have forgotten that, when Jesus said, “Take up your cross and follow me”, He meant it. To follow Jesus is to live a life of sold-out commitment, a life that refuses to compromise the truth for convenience, a life that puts Jesus above everything else. And we pick our kids up from youth group and ask, “Did you have fun?”, as if Christianity is all about having fun. And we plan goofy games, attend lavish conventions in cozy hotels, argue about which version of the Bible is the best, and brainstorm ways to bring in more people than the church down the street. And we are busy planning our next big “event”. We do all we can to get people into the doors of our churches so we can all sing happy songs together while talking about what a joy it is to be a Christian. We hope that they will make a commitment to Jesus, but we skirt around the issue of what a commitment to Jesus really is. A commitment to Jesus is all or none. You can’t have Jesus and continue to live a lukewarm life. If you are truly a follower of Jesus, you have to FOLLOW Him . . .
even if that means following Him to the cross. Forgive us for watering down what it means to follow you. Forgive us for defining Christianity from an American point of view instead of from a Biblical point of view. Please help us to be courageous Christians. Help us to follow you wherever you might lead. Help us to stop our selfish, “all about me” attitudes, our inclination to always want our own ways, and our desire for comfort over commitment. Help us to follow you whatever the cost, and to be brave and true to the very end, whatever that end might be. I agree and have been convicted of my comfortable Christianity…but am still pondering about how to tear down this idol and how to live as a courageous Christian as a homeschooling mom. I make meals, do laundry, teach math, mediate disputes, give hugs, remind, remind, remind. It’s almost like survivor’s guilt…why do I get to live this “safe” life??? Struggling with how to live this out. I’m thinking it will take self-discipline to force myself to live uncomfortably in a comfortable culture where I have everything I need and all I’ve ever wanted. Thanks for this tough blog post! I know exactly what you mean. It is truly a struggle. I am extremely thankful for the life I lead, and I have to ask myself if I would have the courage to stand for Christ if my life were on the line. I have to remind myself that God gave me the life I have and He has a purpose for me here. I need to do all that I can to stand for Him and serve Him where He has placed me, trusting Him to help me deal with whatever the future may hold. This is so very true and so very sad. I have been really convicted lately of this very thing. We don’t deserve the grace that God is giving America! We are so blessed….and so lazy and so complacent and so uncaring…the list goes on and on. Thanks for standing up and speaking out! Amen. Our view of Christian is rich, soft, and most of all comfortable as you say. Yeah, we do need to get to bare bones of what it means to be Christians. Again, amen! AMEN!!! This is so true! Amen. I couldn’t have said it better myself! Powerful words. So true. We have no idea, absolutely no idea. God have mercy — on us all! Agreed! We need to be praying fervently for our brothers and sisters all over the church who are being persecuted and be bold about sharing our faith to all those around us. So true! People are willing (as we all should) to die for their faith and we complain about insignificant inconveniences. I am blessed to live a place where I can freely worship; I should sing hallelujah everyday for that gift. Wow, this was so powerful!!!!!! You are so right about these attitudes. The one about worship complaints really got me….I hear that all of the time. I was struggling about what to write about this as well and came up so empty. You really brought the focus in on the right things. Yes, and Amen. I want my faith to count! This is well-phrased, Cheri. Thank you for these pointed reminders. I sincerely appreciate Sarah’s comment, though, and your response to it, too, because that internal struggle you two have experienced, and I have as well, is one to which we need to pay attention. Here is a reality: war, dictatorships, civil unrest, and other forms of persistent violence and/or civil suppression tend to galvanize a person’s or people group’s faith, as do extreme famine, extreme poverty, & breakouts of fatal diseases. We can be ever-so-grateful that we have not experienced war, Famine, that kind of poverty, or something like an actual Ebola a breakout on our soil in many, many decades. Acts of terrorism, yes; Heinous, senseless crimes and killing, yes; pain, suffering, abuse, hunger, poverty, grave illnesses, and death, yes. I think we can all agree that these experiences also have their galvanizing, crucible effects. And when they happen to us personally or to a person we love, we experience that crucible effect, the kind that galvanizes our own face and challenges all of our presuppositions about what Christianity, along with God himself, has meant to us up to that point and what exactly we intend to do about it. War, and all those other violences and sufferings, are not God’s ideal for his creation. The lion laying down with the lamb is the ideal. Eden is the ideal. Reconciliation is the ideal. Restoration is the ideal. Although Americanism does not equal Christianity, and we should never confuse the two, it is all right, and even desirable, for us to be extremely grateful to be living in a peaceful country that is blessed, *at present*, with basic civil order, democratic ways and governance, and peace on a basic level. We are biblically urged to pray for our civil leaders, That they may do their job well, so that we may experience peace. I don’t believe that feeling of guilt we have each experienced is intended to weigh us down. I believe it’s an active work of the Spirit, prompting us to pray, to move, to act, and to place our trust in the God who sees, who hears, and who cares about all those experiencing all those effects–the alien, the fatherless, the widow, and all vulnerable people and victims of such violences. To place our trust in him–AND to act. Action includes consistent, committed prayer for these things that happen beyond our walls and borders, whether our prayer comes with an emotional attachment or not. Action includes involvement in other people’s lives, and our community, as well as interest in our politics. Action includes giving to Christian social justice efforts (and sometimes even non-Christian social justice efforts, when they are achieving something that Christians are not). Action includes listening to that prompting of the Holy Spirit to hear what he is bothering you about! What issues are bothering you? That is the Holy Spirit speaking to your heart. Listen. And then step forward with whatever baby steps you can muster to simply say to God, “I am listening. I want to help. Help me do something for Jesus’ name and sake.” He will make the way plain, Whether quickly or slowly, according to his will and according to what he knows about you. And then you will become a woman with a mission, whether you have babies to feed, a Bible study to lead, diapers to change, teenagers to drive to youth group, a worship team practice on Thursday night, a message to prep for Sunday morning, or a meeting with a molasses-filled, slow-moving, seemingly-visionless church mission board, you will be on a mission. You will become God’s mouthpiece, God’s prophetic voice in the world today, a voice crying out in the wilderness, that one bringing that salt and light into the world, that one shining like the stars in the heavens, that one doing God’s work that he prepared in advance for you to do. Also, my friend and writing colleague, Shayne Moore, has written two books you might find interesting: Global Soccer Mom and Refuse to Do Nothing (co-written with Kimberly Yim). Whoops, that was supposed to say Kim’s comment above (Kim P), but I appreciated Sarah’s hallelujah, too! Soooooo right on the mark! Amen! This resonates with me because I too look at the state of our church and wonder “What in the world? How did we stray so far from the New Testament definition of what church looks like?” It really bothers me when we ask “Did you have fun?” about the things of God (or about school too- school is to work hard and apply our God given minds, not for fun). Not that we shouldn’t enjoy these things- we should!- but it isn’t about fun. So much good stuff here, Cheri. 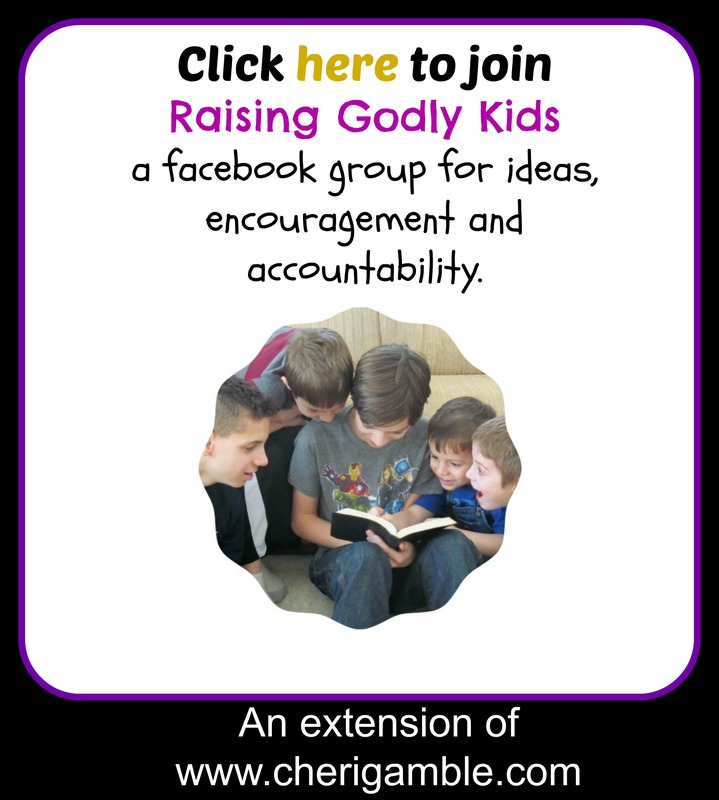 Thanks for sharing and linking up at Grace and Truth. Amen! I felt the same way. I thank God our church is pushing more for holiness than for comfort. But may God wake up the American church! May we fight battles that marry! Thanks for this! Indeed we do complain about things in our churches not realizing the freedom we have here to openly congregate.